We at Flora2000 have transformed International Flower Delivery into a fine and effortless art. Want to send flowers Worldwide”? Well you are on the right page. Place an order for an elegant, cheap & stylish floral arrangement for your loved ones & you are sure to see a smile on their face. After all, flowers symbolize care and love & you really don’t need a special occasion to send them. Online flower gifting to United Arab Emirates is now just a click away. 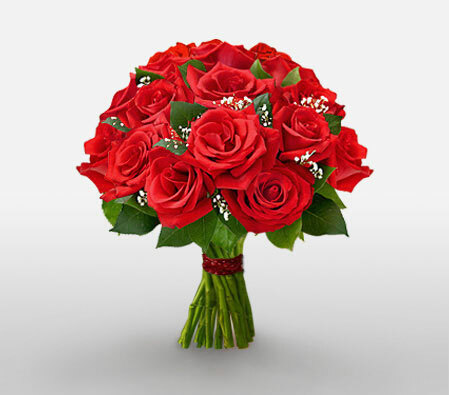 Send flowers same day to United Arab Emirates using our local florists & flower shops. Order by 12 noon. Send Mother's Day Pink Roses, Lilies, Carnations & Special Gifts to United Arab Emirates. Send Roses, Carnations, Lilies throughout United Arab Emirates for occasions like Birthdays, Anniversaries, Funerals, etc. Enjoy affordable flower delivery across Dubai, Sharjah, Abu Dhabi, Ajman & nationwide delivery. How do i send International Flower Delivery to United Arab Emirates? 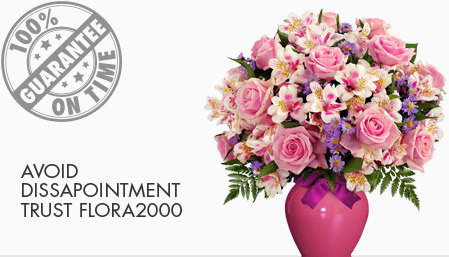 Flora2000 has transformed International flower delivery to United Arab Emirates into a fine and effortless art. With our efficient flowers & gifs delivery services worldwide; you are sure to find the perfect expression of your message to your loved ones. Be it Roses, Lilies, Carnations or Cakes, our gifts are sure to make both the sender and the receiver happy. We make sure the gifts you give reflects what you feel about the receiver. In the Arab Culture, flowers are traditionally used for funerals and weddings; Most of the times, women present it to her hostess. Floriculture is very scarce in Arab countries so most of the exotic flowers are imported; leads to increase in flower prices. Gifting is the most integral part of their occasions. Diamonds, jewellery and flowers are the most important choices for the females. Handpicked Unique Gift Ideas for Mom. Fresh Roses, Lilies, Carnation & Gift Hampers specially crafted for your mum. Order NOW for guaranteed delivery on Mother’s day in United Arab Emirates.